Industrial Ventilation, Inc.: Leading the ventilation industry for vegetable storage with technology and service. Industrial Ventilation, Inc. (IVI) is the ventilation industry leader in state-of-the-art technology for vegetable storage and protection. We specialize in post-harvest, root crop storage ventilation systems for complete protection of potatoes, onions, and sweet potatoes, as well as other root crops. 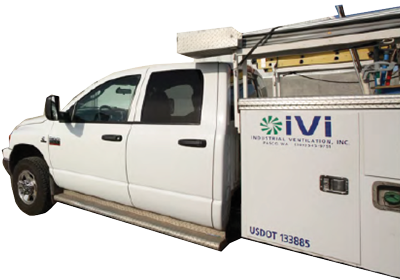 IVI technicians custom design sophisticated ventilation systems, computerized climate control monitoring and patented sprout and decay inhibiting treatment processes to meet your goals. 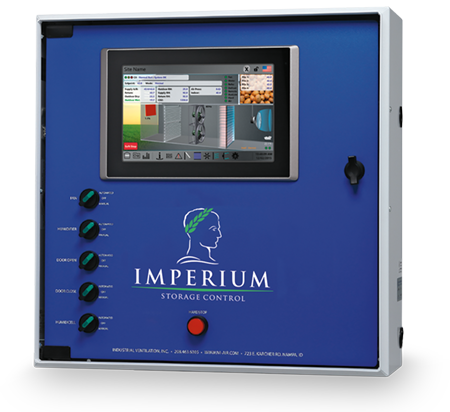 In the storage business, timing is crucial, so when you have a problem, you receive immediate attention—wherever and whenever you need it. After pioneering the development of climate-controlled vegetable storage facilities over 40 years ago, IVI remains the industry leader for both technology and service. Be certain your crops are protected by the most advanced, most trusted monitoring, ventilation, and treatment offerings in the world. 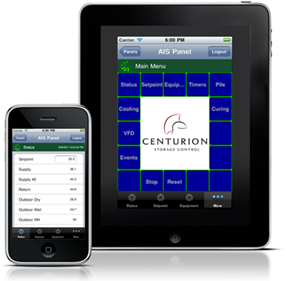 With remote monitoring, never leave your crops behind. Our trucks are almost as dependable as our technicians.